Enter the coupon code GETFIT19 in the shopping cart to get $100 Off and Free Shipping with your purchase of a Bowflex Max Trainer® M5. "Save $250" reflects the total savings received in promotional value when you purchase a Bowflex Max Trainer® M5. Offer not available with any other offer and is subject to availability and may change at any time. Offer is valid once to a customer and excludes previously placed orders. Prices subject to change. Offer is not valid at retail stores or outlets. Offer is available to major metropolitan centers only. Offer valid only in Canada. Offers valid for a limited time only. Save time with the breakthrough 14-minute Max Interval workout or choose from 9 other pre-programmed workouts for longer sessions. Either way, you'll get a great cardio workout with an ultra-smooth, low-impact motion that maximizes your calorie-burn. The M5 features computer-controlled resistance, Bluetooth® technology, premium grips, backlit display, target-zone monitoring and a compact design that fits almost any space! 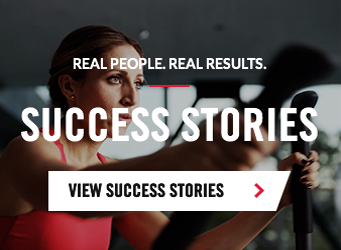 Use the FREE Bowflex Max Trainer® app to track total time, calories and more.